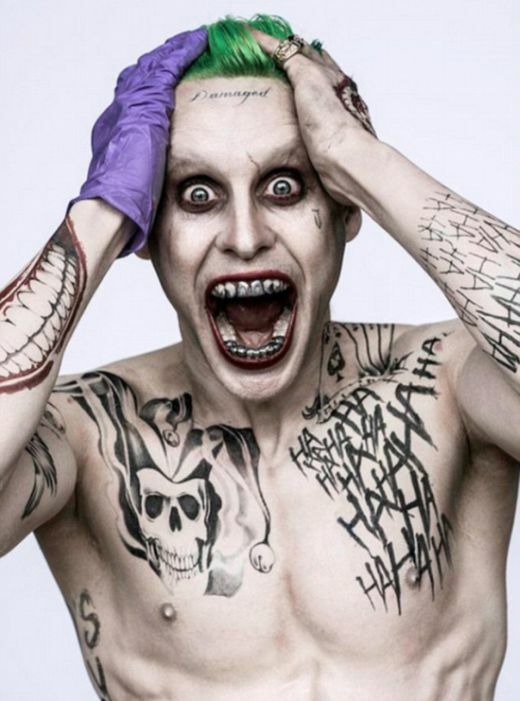 We've seen a couple of teasers for Jared Leto's Joker but none of them compare to the first official look. A few days ago "Suicide Squad" director David Ayer revealed Jared Leto's Joker to the world and it's unlike anything you've ever seen before. mouth bling for the Joker? really? 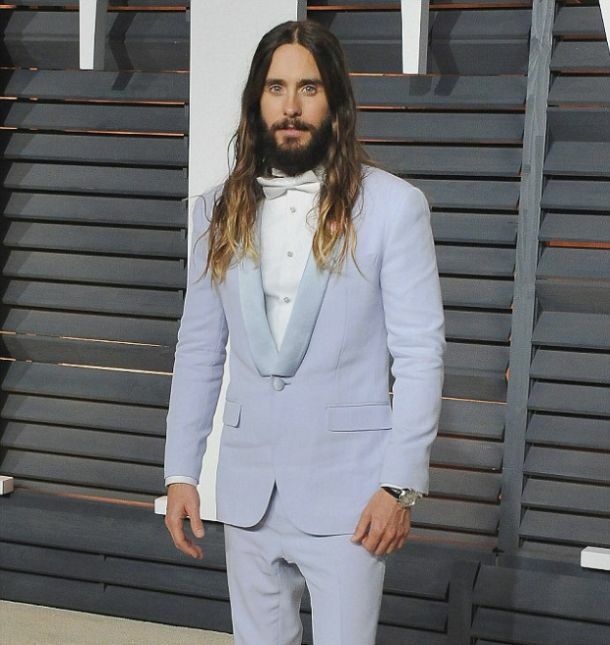 Heath Ledger nailed the role of Joker (IMO), but Leto is an excellent actor. His (Letos') portrayal of 'Rayon' in Dallas Buyers Club, blew me away. Not mouth bling. Dental work. They look like metal fillings. Isnt it too soon for another joker movie? It hasnt been that long at all. Whats next, a remake of the hobbit? I think someone is trying to ride end of the popularity wave the previous joker left behind. In other words 'money money money'. I'm ok with the caps on the teeth. In all reality, if he was as crazy as he should be and laughing while people are punching him in the face, I'm sure he would be missing some teeth and need work done. The tattoos on the other hand are just ridiculously lame. 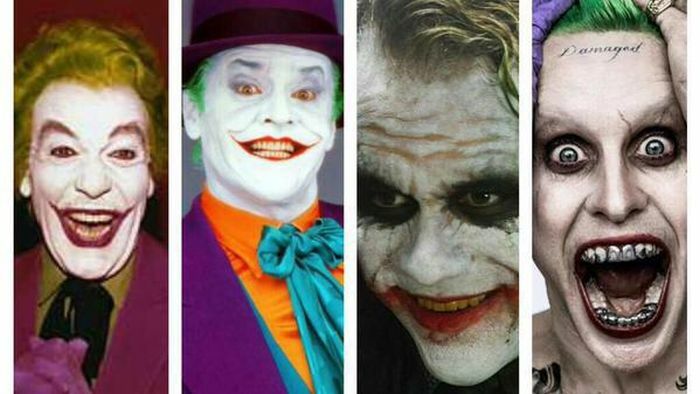 Having all of them relate to the joker seems forced. I always had the feeling he was a highly overrated actor. no doubt the critics will praise him like a god while the real audience will be like "meh"